We always say that any fridge is a beer fridge, but most girlfriends disagree, hence the existence of beer fridges. 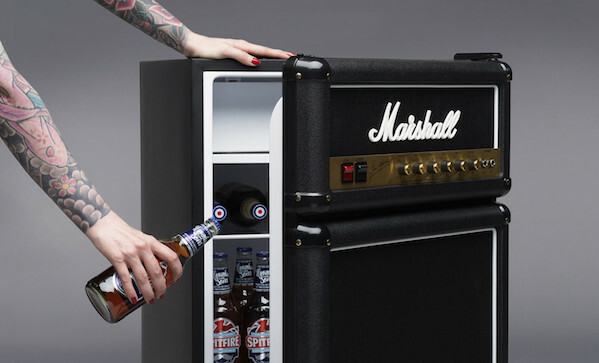 Anyway, if you’re going to have to buy a dedicated little fridge for beer, why not have fun with it? This Marshall fridge ($400) looks just like a cabinet (excuse us, a JCM800). They use genuine parts, since they presumably have a bunch kicking around.